<a href='http://gigs.gigatools.com/u/Italoboyz' target='_new'><B>Italoboyz's Upcoming Gigs</B><BR></a>Friday 18 April, 2014 <BR><a href='http://gigs.gigatools.com/u/Italoboyz' target='_new'>Magdalena (Marco Donato), Berlin, Germany</a><BR>Saturday 03 May, 2014 <BR><a href='http://gigs.gigatools.com/u/Italoboyz' target='_new'>Superfiction Recordings label night, Basing House, London, United Kingdom</a><BR>Thursday 12 June, 2014 <BR><a href='http://gigs.gigatools.com/u/Italoboyz' target='_new'>Viva Warriors showcase, Bloc, Barcelona, Spain</a><BR>Sunday 03 August, 2014 <BR><a href='http://gigs.gigatools.com/u/Italoboyz' target='_new'>Viva Warriors Ibiza 2014 @ Sankeys, Ibiza, Spain</a><BR>Sunday 17 August, 2014 <BR><a href='http://gigs.gigatools.com/u/Italoboyz' target='_new'>Viva Warriors showcase @ Sankeys, Ibiza, Spain</a><BR>Sunday 24 August, 2014 <BR><a href='http://gigs.gigatools.com/u/Italoboyz' target='_new'>Viva Warriors Ibiza 2014 @ Sankeys, Ibiza, Spain</a><BR>Sunday 31 August, 2014 <BR><a href='http://gigs.gigatools.com/u/Italoboyz' target='_new'>Viva Warriors showcase @ Sankeys, Ibiza, Spain</a><BR><a href='http://gigs.gigatools.com/u/Italoboyz' target='_new'>See the full listing here</a><BR><B><a href='http://www.gigatools.com' target='_new'>Powered by GigaTools</a></B><BR><BR>Italoboyz (Marco Donato and Federico Marton) arrived in London at the beginning of the new millennium and have become an essential fixture in the capital’s passionate electronic house/techno scene. From their notorious backto‐ back DJ sets in 2003 at FESH (333, London) they have exceeded their local status and now play for the globe. “When you realize without movement there can’t be change ‐ you move…” explains Marco. So that’s exactly what they did. They left their homeland of Italy for London to pursue a deeper connection to the electronic world. The different views and emotion of electronic music that were interpreted and manufactured by Marco Donato and Federico Marton created the fusion of two very talented minds to form Italoboyz in 2002. Since their start they haven’t stopped moving forward. 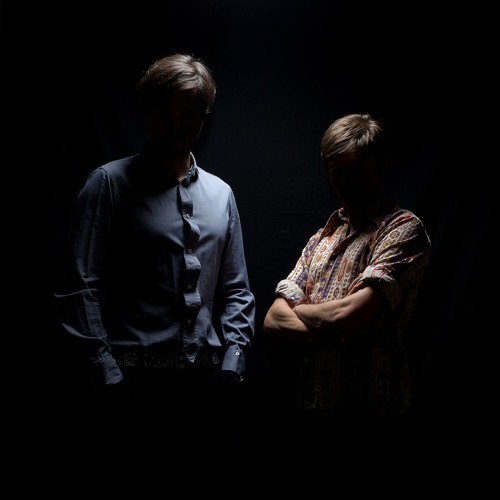 They have obsessively explored and created the hybrid sounds of house and techno inspired by their love of minimalism, acid‐house, jazz, and hi‐tech funk. The Italoboyz musical expression is a fusion of sounds, flavours, themes and ideas resulting from over 20 years of music research and experience from exploring the various genres and sub‐genres that develop out of this constant evolving musical world. After releasing their first debut album BLA BLA BLA in 2009, the Italoboyz are one of the hottest and most wanted acts in the electronic underground music scene. Their first live set presented in front of one and a half million people at Loveparade in Dortmund in 2008 was one of the highlights of their advancing career and created such a demand for the vibe that they bring to the people. Italoboyz’ release on some of today’s most influential minimal‐house / techno labels such as Moon Harbour, Get Physical, Trapez ltd., Mothership, Material, Treibstoff, Einmaleins Musik, Gumption and Safari Electronique. If the duo isn’t gallivanting around the globe and injecting the people with the most organic sound, you can find Marco and Fede harboured in their studios engineering the freshest and most cutting edge beats for your listening pleasure. The energy, flair and production of this duo have captured the imagination and hearts of their fans and always leave everyone wanting more. New projects are always in the making from these two innovative minds.